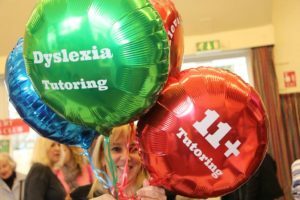 Tutoring – Personalised, supportive, challenging and fun! We believe that Elevate Eleven is unique in that we provide an individual 11+ programme within a group situation and we work closely with parents so that the children can reach their potential. We strongly believe in the value of small group tutoring. It is more cost effective for parents, less intimidating for the children and we can create an element of fun, with educational games at the beginning of years 4 & 5 and healthy competitiveness alongside a sense of the children being ‘in it together’. This model has proved highly successful and for this reason we do not offer 1-1 tutoring except in the form of occasional catch-up lessons where necessary. We have a proven, structured syllabus that gradually introduces different techniques and concepts, bringing in timed papers of increasing difficulty towards the end of year 5 and in year 6. The model relies on groups being small and consistent, so once a group is established we try and change it as little as possible. Groups generally have between 4 and 6 pupils, and occasionally 7. There will never be 8 pupils, as at this point the group will split into 2 groups, hence the idea of cell division. Our curriculum is taught to all pupils regardless of ability, and we do not pre-select in order to make our success rate look good. However, the less able may need extra support in the form of different materials and guidance for parents. Our most able pupils are given extension work to stretch them further. In the spring term of year 5 pupils will be working on papers suited to their ability and in the final term each pupil will have their own bespoke learning programme, hence the small groups. We aim to provide for the most able children and run scholarship workshops. The more able children can complete year 6+ work, including really tricky algebra (former level 6 – National Curriculum and beyond) and also Junior Maths Olympiad questions. Elevate Eleven works closely with maths experts to help develop a challenging programme. 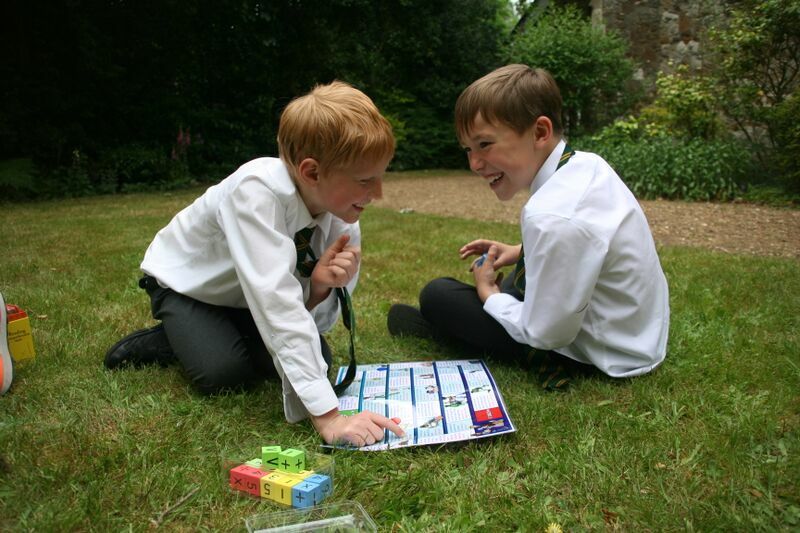 Especially at the beginning of year 5 we try to provide an element of fun to the tutoring with educational games – it does get more serious leading up to the exams. Where we are based at a school the children have a play and a snack before the session begins so they enjoy this time with their friends before the tutoring starts. The group dynamic certainly makes the whole experience feel more fun for children than traditional 1-1 tutoring. We try to provide a relaxed environment for as long as possible and will mostly give ‘finishing off’ homework. During the final term this will include a timed paper and a topic (maths, a particular type of writing, etc. so this may take 1-2 hours a week). There are some 11+ children we hear about who will be doing several hours a day at this stage but we don’t aim to compete with that type of tutoring as it tends to make children miserable and the law of diminishing returns means that may not bring further benefits and in some instances is counter-productive. The 11+ in north-east Surrey is very varied with a huge choice of schools if one includes independent schools as well. All children will learn verbal and nonverbal reasoning, as even the state grammars use an element of verbal reasoning within their English papers (despite what they may say!). This keeps options open and allows parents to change their minds about school choices. The reasoning is also used in secondary school IQ tests so it is never completely wasted. Non-verbal reasoning helps children think logically and encourages observational skills. Verbal reasoning assists with vocabulary development and, again, encourages logical and structured, analytical thinking. Some of the schools also now include CEM-type questions (St George’s and St John’s) that involve 3D nonverbal reasoning and the use of demanding vocabulary for the Cloze procedure questions. Maths and English are the main components of the 11+ now so any preparation is useful for school success anyway. Many children start with us at the beginning of year 5. The course starts with reasoning and the children enjoy learning something completely different to regular school work. They receive a report, based on assessments, when we have finished this block of teaching after approximately 8 weeks. We then move onto Maths and English – again assessments and reports are given at the end of this 12 week block (middle of spring term). There is a year 5 parent information evening early in the spring term , individual parent meetings before the summer term and informal ad hoc meetings in the final term, especially where parents and tutors need to work closely together. In the final term the children will receive a weekly assessment so gaps can be highlighted and worked on. The tuition at this stage is very much personalised and based around timed papers relevant for their target schools and we work closely with families leading up to the exams. Note that children are welcome to join at any point but catch-up work may be necessary in some cases. Elevate Eleven has been in business for 15 years and works hard to ensure that children find the right school for them. This is why we have excellent exam results. We want to assure you that we know how to ‘jump through the hoops’ and help you have rest and peace in the situation, letting us take at least some of the strain. We have been through this as parents and, with our eldest at university and our youngest in the upper sixth, we are now seeing the complete ‘education’ cycle from a parents’ perspective. Please see Elevate Life if you would like to see how we support parents. We also run a year 4 foundation course (starting January of year 4 for two terms) that is proving increasingly popular with parents. This is partly because the year 5 course is so intense. In year 5 we cover a few maths topics a week, for example, so the children need to be secure with the basics. Hence in the year 4 programme we have time to put an emphasis on developing core skills, such as long multiplication/division, or challenging English comprehensions, which we find state school children in particular are less familiar with. We also do some creative writing to highlight any issues early on. Children are welcome to join any of our year 4 groups at any point (subject to availability) but if they all start together in January of year 4 then we have an opportunity to take them through a well-paced, carefully structured and proven core skills programme that will also help significantly with their day to day schoolwork. Although we will take children of all abilities the children will undergo an assessment when they start, so that when we teach a topic (such as fractions) we can give them level 4, 5 or 6 questions. With the English it is more differentiation by outcome so we teach them the skills and they work at their own level. While we will always try to help parents at the last minute (and have done so in the past with some success) we strongly recommend that you start your child in year 4 or 5 so that they have the best chance of being ready for all the challenges the entrance exams throw at them. By year 6 we are focusing on timed paper practice but if your child is in year 6 and is new to all of this then please contact Anita at [email protected] and we will see if we can help. Most of our group sessions last for 1.5 hours. Tuition is £25 per hour so is £37.50 for a 1.5 hour session. In addition, in school-based centres where the group starts a little after school finishes we will supervise after-school play (for example from 1530 until tuition starts at 1600) at no additional charge. Sibling discounts and bursaries can be awarded in some cases and if financial issues are preventing you from joining our tuition centres then please contact us to discuss. In year 4 materials are charged at cost price on an ad hoc basis but across the two terms are likely to be no more than around £30 in total. Year 5 groups use a large number of materials that we supply. This is charged at £20 per half term block (£120 across a full year) and again we ensure that you do not pay more than cost price for all materials. In certain instances where children have particular needs then we may recommend some additional materials on top of this. Fees are billed on a half termly basis (usually 5 or 6 weeks) at the beginning of a half term of teaching and are due in advance. We run mock tests during the autumn term (at least one will be in September, before the Tiffin exam) and one in October/November to coincide with the independent school exams. In recent years we have used a function room between Cobham and Esher but we are always considering alternatives. We use papers (choose from: Maths, English, Verbal Reasoning, Non-Verbal Reasoning) provided by an external company and not available to the general public so the children will not have seen the questions, no matter how many practice papers they will have already completed! These mock tests prove very popular and book up quickly once announced. For more details please email [email protected] or continue to look at this website where they will be announced once finalised. Some children may benefit from 1-1 holiday tuition that we can arrange through our existing tutors (only for pupils on our books) to either reinforce or catch up with some work. We generally run a revision workshop over the summer and maths scholarship and creative writing workshops during the autumn of year 6. This year (2018) these will run on selected Saturdays. Additional ‘holiday clubs’ may be arranged, depending on demand and tutor/location availability.